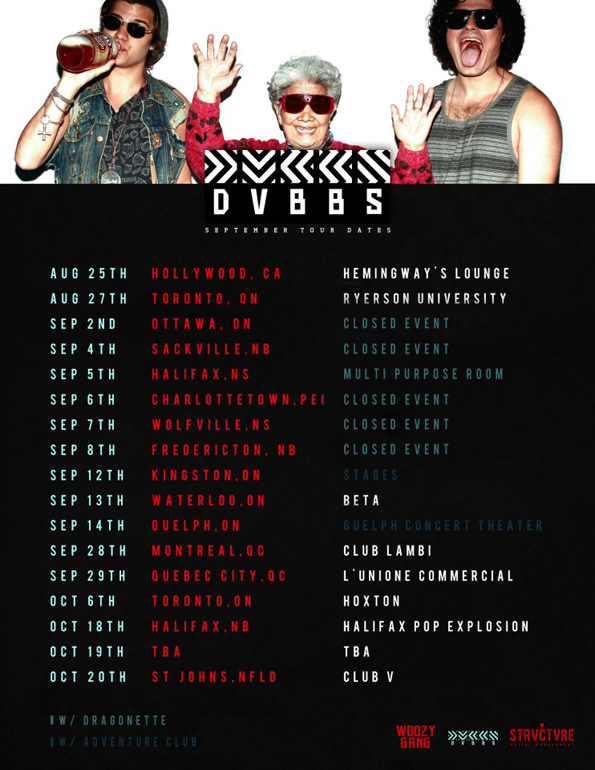 Wrapping up a very successful summer tour, DVBBS released this video to give us a taste of the excitement and energy of their live sets. DVBBS is composed of brothers Chris and Alex Andre and for this electro house duo, showmanship is definitely not something they lack. Be on the lookout for these guys live, as they aren't slowing down. Currently they are in the initial stages of their next tour W O O Z Y A S F V C K. Details of upcoming shows are listed below. Also, be sure to check out their Facebook page for more info.